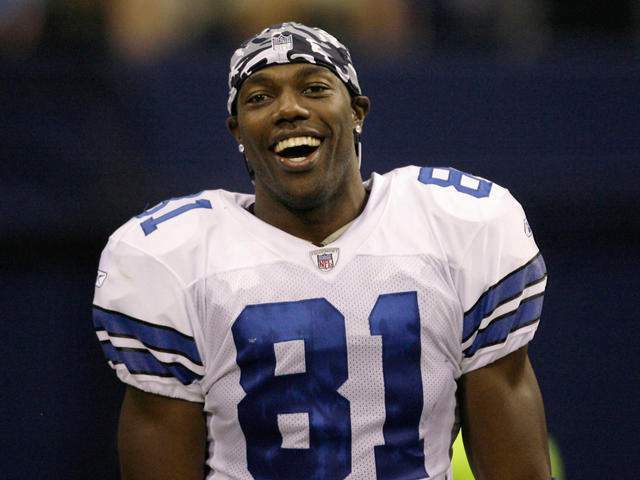 Controversy has covered Terrell Owens better than most defensive backs ever managed. This week’s Hall of Fame induction stir and his refusal to attend line up perfectly with T.O.’s playing days. If reports are true, T.O. chose to skip the induction ceremony likely because of feeling slighted by writers over his career, with the cherry on top being waiting too long to induct him into the Hall of Fame. His decision is sad for two reasons. First, Owens is missing a once-in-a-lifetime opportunity. This is his one chance to be welcomed as an equal peer by every Hall of Famer in attendance. All the respect he could ever need will be there in Canton, Ohio. Unfortunately for him, he’s choosing not to attend. I have never met Terrell Owens and don’t know his background outside of football, but my guess is that over the years this decision will end up being one of the biggest regrets of his life. Secondly, in a historical sense, he didn’t have to wait very long. Owens accumulated outstanding statistics over his career, certainly worthy of the Hall of Fame. Compared to other receivers over time, however, he may have actually gotten in a tad early. Owens made it on his third ballot. Lynn Swann and Tim Brown were finalists for more years than Owens. Art Monk, the first player ever to collect 900 receptions, had to wait much longer. Don Maynard and Charlie Joiner both retired as the leading receiver of all-time and still T.O. made the Hall of Fame in a shorter period of time. Polls don’t track all-time player popularity figures, but it’s not a stretch to say that all of the above mentioned players were more popular with both voters and fans during their careers. I don’t vote for the Hall of Fame (in fact, very few people do). I can’t tell you whether there’s a bias against him among the voters. Looking over the course of history, however, many players of at least comparable value have waited considerably longer for their moment to be enshrined into the Pro Football Hall of Fame. Let’s hope a player missing his own once-in-a-lifetime enshrinement will also only happen once. Experience NFL history through the eyes of NFL legends in The Game before the Money.